Errol Naidoo, a tireless campaigner for the restoration of marriage and family values in South Africa, will be standing for the ACDP in the 2019 general election. The founder and director of the Family Policy Institute (FPI) and producer and host of influential current affairs shows on Christian television and radio, is also working with the ACDP to revitalise the party brand and significantly increase the number of godly men and women in parliament in a party that stands on biblical values. 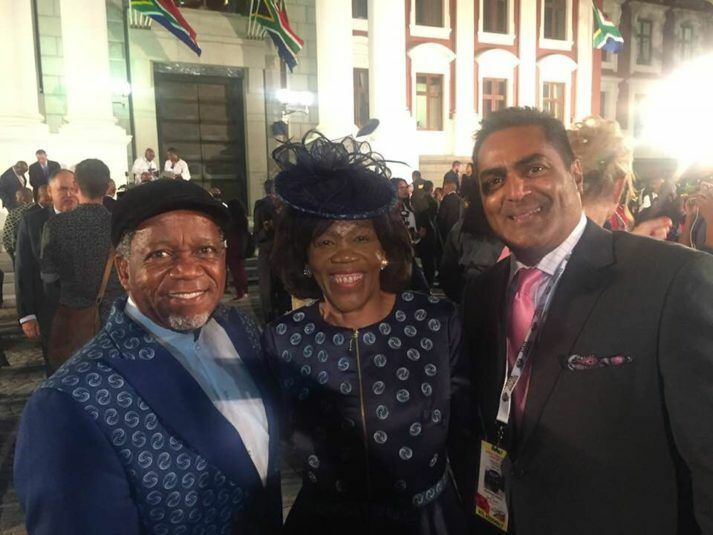 Naidoo told Gateway News that he has been getting an enthusiastic response around the country in recent months as he has been sharing his political vision with pastors, leaders and Christian citizens. He said a talk on the vision [See link below to the audio clip of the 32 minute talk] which he gave to pastors in Pretoria was recorded without his knowledge and has been widely shared on social media, prompting messages of support and offers of assistance. Rev Kenneth Meshoe president of the ACDP said today it was very good news for the ACDP to have somebody of Naidoo’s calibre joining forces with them. He said Naidoo would fill a long-standing gap in the party regarding effective communication and that he has been appointed as director of communications for the ACDP. He said that Naidoo came with a strong belief that the ACDP, which currently has three people in parliament, can become the third biggest party in SA. “But I personally believe, if we take Romans 4:14 ( Against all hope, Abraham in hope believed … ) as is, there is a strong possibility of God intervening in South Africa to bring about godly government,” he said. He believed that amidst a political climate which created a threat of war, God was repositioning South Africa to have a godly government that would promote peace and prospertity and that the ACDP would be ready with people of peace and skill to take the reigns. In his latest FPI newsletter, Naidoo expands on his political vision, saying: “During the second half of 2017, God began speaking to me about impacting Parliament with righteousness, truth, reconciliation and a spirit of nation building. Arlene [his wife] and I fasted and prayed and diligently sought God for direction. We also consulted our ministry oversight for Godly counsel. He says in the newsletter that ACDP leaders have enthusiastically embraced the vision to significantly boost the party’s parliamentary representation and upgrade the brand. He says he has secured a media performance consultant and social media expert to help plan and execute the ACDP’s general election campaign strategy. The party is also raising funds to upgrade its website and social media platforms, and is purchasing campaign management software “used by the likes of Donald Trump and Emmanuel Macron”. He says the ACDP aims to become the third largest party in parliament in 2019, hopefully replacing the “hatred, racism and division of the EFF with righteousness, truth, reconciliation and nation building”. He writes: “This is possible because over the past 4 years, more than 1.5 million Christian citizens interceded for a Godly Parliament and prayed for more Godly men and women in SA’s governance. “If just the Christians — who prayed for more Godly men and women in Parliament — voted for the ACDP in 2019, we will increase the current 3 MP’s to 30 plus in a Bible-based political party. “These 30 + MP’s – sold out to God – can and will change the atmosphere in Parliament. Naidoo says that if he is elected to parliament next year an anointed and talented leader will take over the FPI which will continue its vital pro-family work in SA. Anybody wanting to get involved in the vision is invited to email Naidoo at enaidoo@familypolicyinstitute.com. Thank you a Lord that you have raised up people who will stand for Godly governance as well as a party who supports Israel. The plans that you have for South Africa will be fulfilled. I find it strange that the bible is misquoted. Romans 4 v 14 was quoted but verse 18 seems to be the one which should have been quoted. Just my feedback. Please don’t treat this as a form of agreement to the ACDP plans or Mr Naidoo’s plans. I shudder to think what would happen if the ACDP gained a large representation of MPs in Parliament. Given Errol Naidoo’s biblical stance on homosexuality, abortion, gambling and various other subjects, a vote for the ACDP would set this country back by years. I am for a government free of corruption, the return of teaching religous instruction in schools and for greater accountabiliry and transparency in governnent departments. While the ACDP see themselves as the voice of the Evangelical Christian voter, first and foremost as a potential but unlikely government they need to be a government to all whether, gay, straight, Christian, Jew or Muslim. I, as a full-Bible believer,will vote for a fully-christian party,my only choice is A.C.D.P. No need to shudder Winston, if you read your Bible properly… We all have sinned,therefore JESUS died on the cross,but rose up…for us to repent… we as christians are praying for you Errol,and for the A.C.D.P. and its members in force…Amen..
SA needs God not politics. Big DIFFERENCE between current politics & GODLY GOVERNANCE””” PLEASE GET A WAKE UP ALL BELIEVERS!! nowhere,and being captivated by greed and corruption.Due to political posturing the DA are going backwards,and are losing their principals. The ACDP are the only true Christian party. I am with you all the way. May ALMIGHTY GOD reign in our beloved land. So you prefer to be ruled by Godless secular humanist parties that pass ungodly laws? Or would you rather have a godly government? P.S. My comment was in response to Cornelius’s, but it posted separately.